And it may get Steam Workshop mod support. Valve’s foray into your living room seems to have stalled out a bit since last year’s Steam Machine launch—but what about your digital living room? 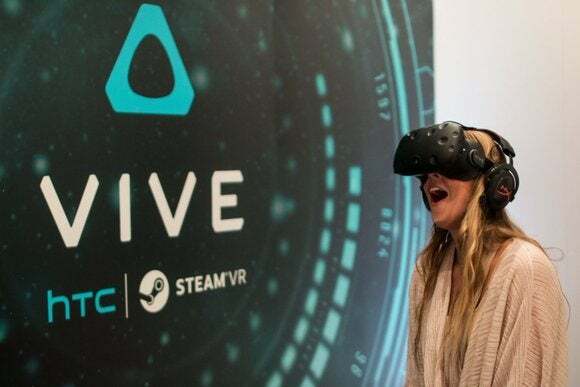 Last week, Valve announced SteamVR Desktop Theater Mode, allowing you play any of your existing Steam games in virtual reality. Today, I took the new mode for a whirl at the annual Game Developers Conference in San Francisco. The language Road to VR used in the original report last week was “a virtual environment in a sort of virtual home theater with a huge display,” and that’s not too far off. 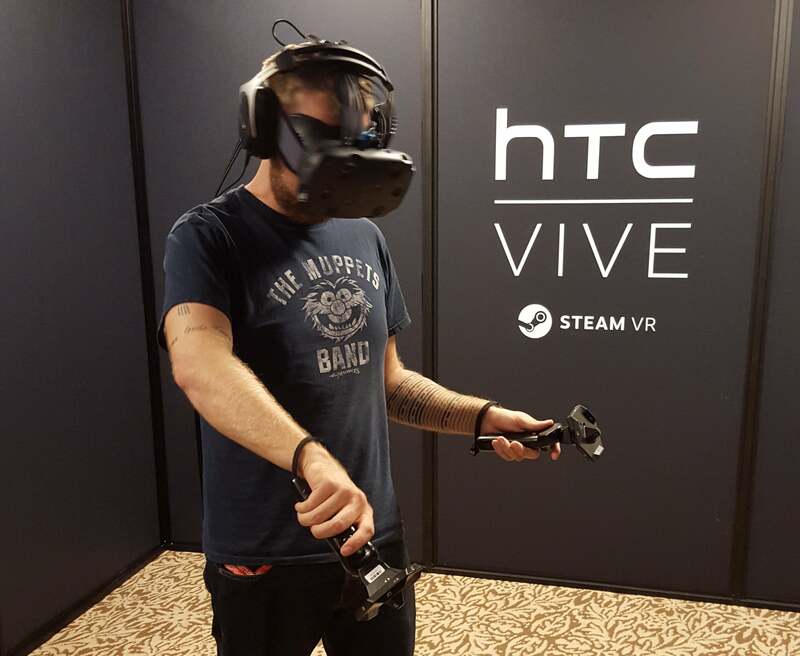 When I put the HTC Vive headset on during Valve’s demo this morning I found myself sitting six or so feet away from a screen that measured maybe 10 to 12 feet across. But since the Vive’s Lighthouse stations are still tracking your position you can scoot back to a more comfortable distance if you’d prefer. Not that there’s much to see aside from the screen. The “virtual home theater” itself is pretty minimalist, largely avoiding the sort of faux-realism we saw in Netflix’s fake living room/cabin last year. (Valve didn't provide screenshots of the experience for publication.) 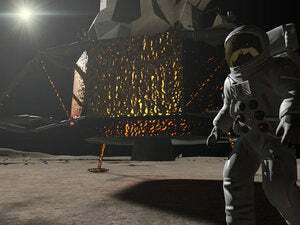 Valve wink-wink-nudged me though that we shouldn’t be surprised if Desktop Theater Mode is opened up to Steam Workshop in the near future, allowing the community to mod in their own fantastical/realistic/sci-fi environments at will. Anyway, I played Broforce. On a huge screen. That’s really all there is to it. Valve tells me that the Desktop Theater Mode uses some of the same technology employed for its Steam In-Home Streaming and Broadcast features—either some incredible foresight on Valve’s part, or lucky happenstance. But with minimal delay, the game output signal is routed onto this massive screen. 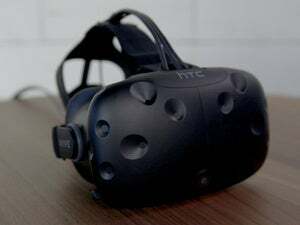 Valve says any game that runs above 30 frames per second should work, no problem, and that you can still pull up the Steam Overlay from within the VR environment. You’re also not limited to Steam apps, from what Valve tells me. While In-Home Streaming requires some fidgeting to—for instance—stream from VLC, Valve’s Desktop Theater Mode seems to work more like the Virtual Desktop app for the Oculus Rift. Anything you can see on your desktop can be routed through the Vive. In other words: You can watch Netflix. Is Desktop Theater Mode worth purchasing a Vive for? Probably not. I can’t imagine this is where people will spend most of their time—the benefit of the huge monitor is equally outweighed by the heat of wearing the Vive and the fact you can’t actually see what you’re pressing on your keyboard or controller. But as a fun little addition? Well, virtual reality has a lot of those. 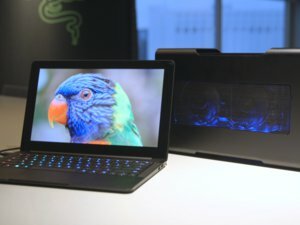 Look for more about Desktop Theater Mode in a few weeks—it’s set to launch alongside the Vive in early April, and I’ll probably fire it up with something a bit more taxing than Broforce to see how my computer handles running the Vive at the same time as, say, The Witcher 3 . Theory: My GeForce GTX 980 Ti melts and/or lights on fire. We’ll see.